Ethisphere Magazine recently named Chief Justice Myron T. Steele of the Delaware Supreme Court as ninth in their list of the 100 most influential persons in business ethics for 2008. Chief Justice Steele was named for the second year in a row in the top ten of the most influential persons in business ethics by Ethisphere Magazine, a publication of the research-based Ethisphere Institute, which is dedicated to the research, creation, and sharing of best practices in ethics, compliance and corporate governance. The list was compiled to honor leaders in business ethics throughout the world and was compiled by an advisory panel composed of experts from major universities and institutions. 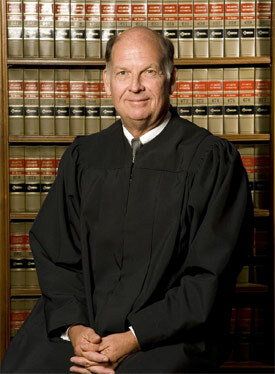 Chief Justice Steele was named for his impact on government rules and enforcement trends. Others named to the top of the list included such luminaries as Liu Gi, Chairman of the Organizing Committee of the 2008 Olympics; Neelie Kroes, European Commissioner for Competition; and President Barack Obama.